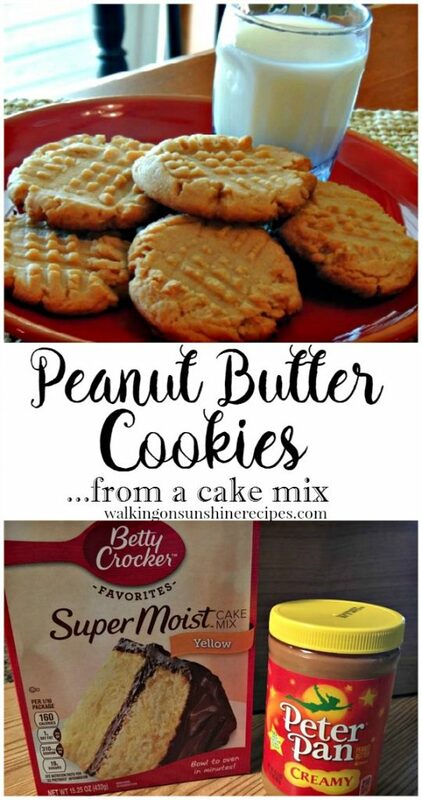 Peanut Butter Cake Mix Cookies Ready in Minutes! 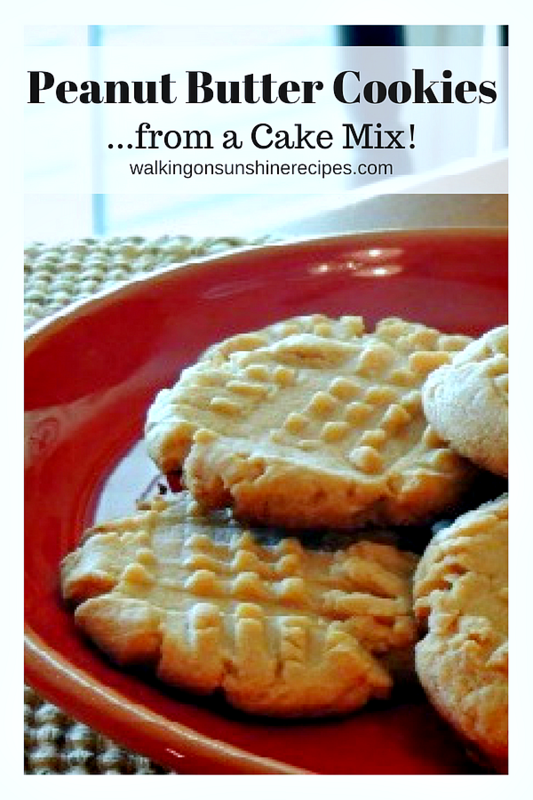 Peanut Butter Cake Mix Cookies are so easy to make! Your family will love to come home to a plate of these cookies with a glass of milk today! Happy Monday! I hope you all had a lovely weekend. It was nice here, a little chilly for May, but nice. I know all too soon it will be hot, hot, hot. Hoping we can get out into the garden in a few days to start planting, but not until the threat of frost is gone at night. 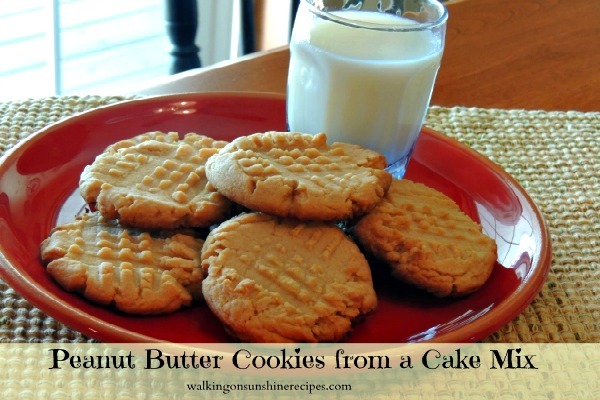 Today I’m sharing a recipe for Peanut Butter Cookies that starts out with a cake mix. I bake a lot. And not just for my family. Most of the time I’m baking for football games, track meets, fundraisers, etc, and every Monday I bake for our church’s Community Outreach Meal. So I’m always looking for easy and delicious recipes and I love the idea of making cookies from a cake mix. 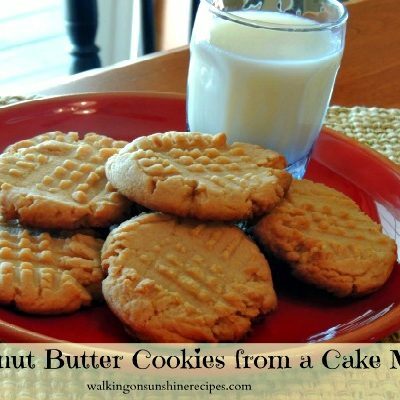 An easy but delicious recipe for peanut butter cookies that start off with a cake mix! In a mixing bowl, combine the eggs, oil and peanut butter until well combined. Add the cake mix until completely combined. Using a small cookie scoop or a tablespoon, place the cookies on a parchment lined baking sheet. Using a fork, slightly floured, press the fork into each cookie to form the "cross hatch" design. Bake in a 350 preheated degree oven for 10 minutes or just until they are slightly browned. 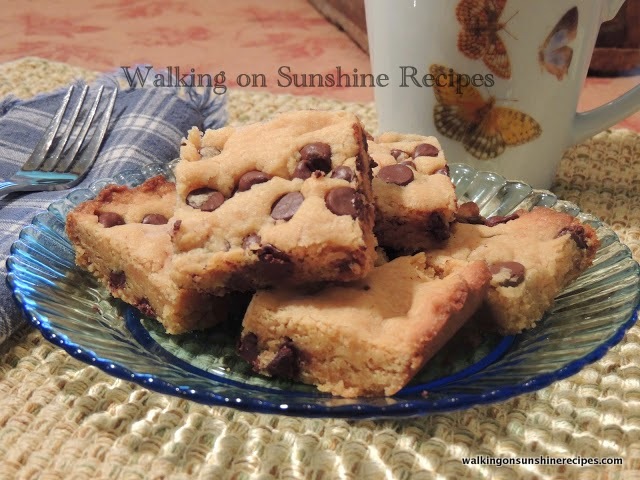 This recipe for Peanut Butter Chocolate Chip Bars is even easier to make AND uses a cake mix too! We did these with our kids at Church. They were easy to make and were very good. It is now my go to for peanut butter cookies. Thanks for letting me know! Glad you enjoyed the recipe. I love that you used cake mix! How easy! Sharing! Thank you for sharing on Merry Monday! Hope to see ya next week! That sounds good too! Thanks for visiting! Can you use chocolate cake mix? Thanks for visiting today Nancy!